The Interest in endurance sports is on the rise. Researchers, organisations and experts in health, psychology and fitness are increasingly highlighting the benefits for individuals to do more exercise in the high-intensity and endurance fitness category. Acid Masters gives you as an athlete the opportunity to compete in what we call “Endurance fitness”. 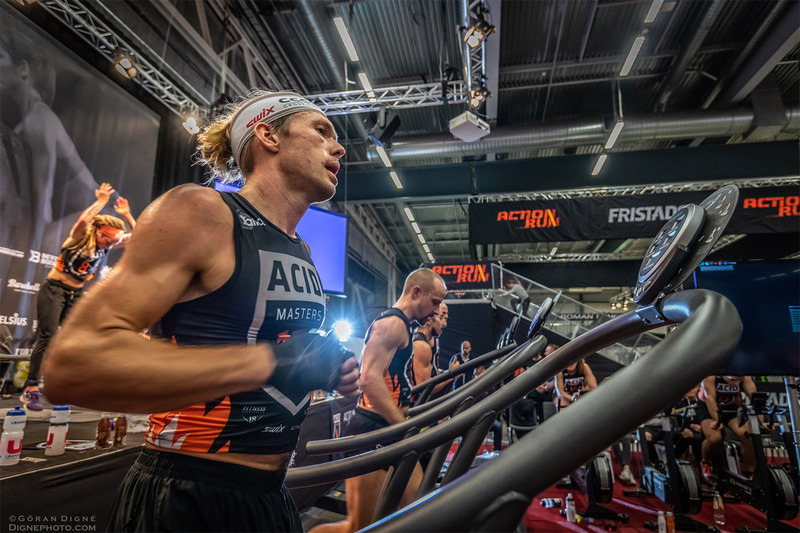 Acid Masters is an endurance sport and competition where you can race without having to leave the arena or even your home gym. Acid Masters creates a brand new type of fitness and strength contest, called endurance fitness. It is simply expressed in testing the one with best endurance capacity of the contestants. This is the first ever modern competition where all the participants race in the same heat, competing on the same level, with the same conditions, male and female in the same class. We don’t separate the participants by gender, we are all alike. So for us it is important that this is a race where only your own body weight and effort level counts, nothing else matters. Today there are many big and popular competitions like Strongman, Crossfit and Ironman with many participants and new heroes that create great interest and media. Acid Masters does not focus on the winner being big or strong or a frontier specialist in a specific sport. The contest is instead promoting athletes who are all-round trained in endurance, not primary in fitness. 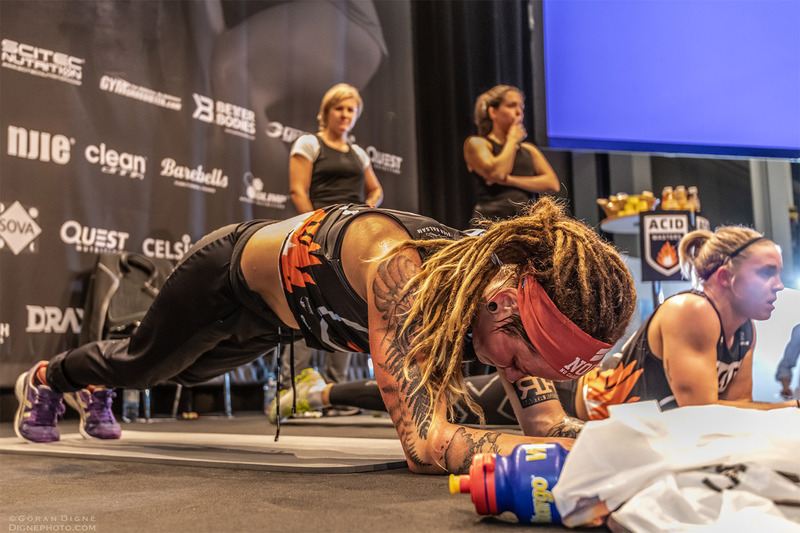 The cardio part of the race is made on machines that counts every meter and the strengths part are carried out without any external weight or aids, this part is based solely on the bodyweight as resistance, which allows men and women to compete in the same class against each other. 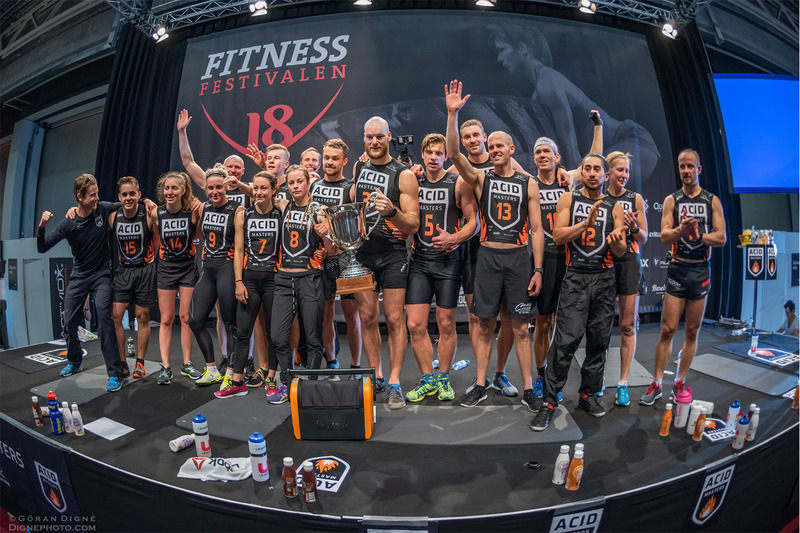 Acid Training was founded in Stockholm 2014 after Anders Eriksson talked about opening a new gym with his friend Fredrik Erixon. He on the other hand had no interest at all to start another gym! But Anders refused to give in and Fredrik submitted a new idea. The concept was based on his ski-team training, in which he had been doing a combination of high interval training and endurance for the past 8 years. With astonishing good results. He called it endurance-fitness. It was a mix of high intensity training in group. With a trainer that could combine endurance training with pure body workout. And doing this in 5 separate 10 minute intervals with your pulse as the primary measurement. After one year Fredrik started to do different races and contests with his ski-team during their Acid Training. He involved Anders and together they developed a concept for competing within the Acid Training framework. The Acid Masters was born!